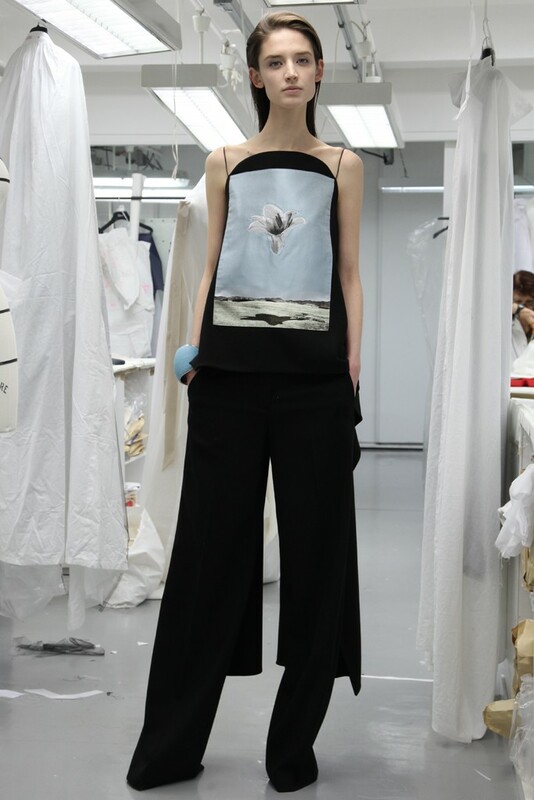 The Dior by Raf Simons Pre-Fall 2014 Collection reinterprets the drawings that René Gruau made for Dior in the ’40s and ’50s. Other René Gruau-inspired collections : Dior by John Galliano Couture Autumn/Winter 2005-2006 (this show was partly influenced by how Dior’s designs were reflected in the work of René Gruau), Dior by John Galliano Couture Autumn/Winter 2007-2008 (René Gruau’s work for Dior was one of the references of this collection), Dior by John Galliano Couture Spring/Summer 2011 (this show paid homage to the illustrations that René Gruau made for Dior), Jason Wu Spring/Summer 2008 (some hand-painted patterns were based on René Gruau), Rick Owens Spring/Summer 2004 (René Gruau was one of the 2 inspirations of this show). 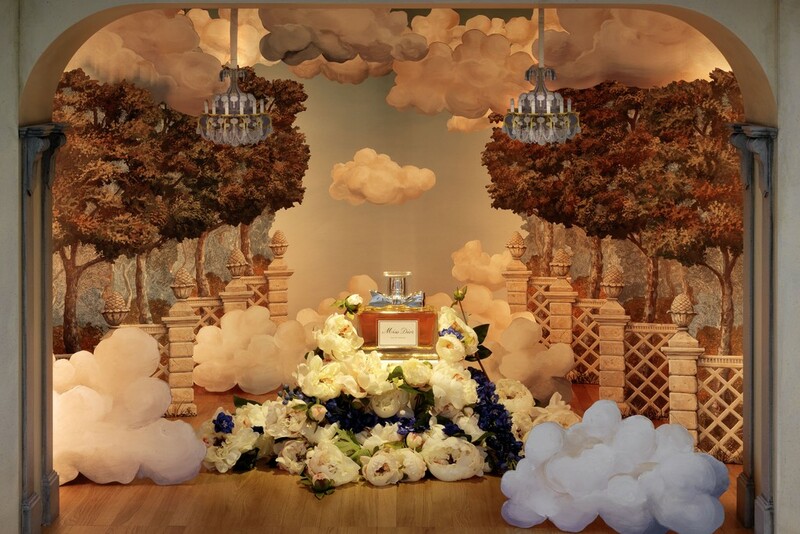 The Hervé Mikaeloff-curated « Miss Dior : Esprit Dior » exhibition, presented at Paris’ Grand Palais, from November 13 until November 25, 2013, showcases large-scale works, based upon the « Miss Dior » fragrance, that were created by 15 female contemporary artists, such as Karen Kilimnik whose « Sans titre (Folly for Dior) » installation is pictured above. Photo : Stefan Altenburger Photography, Zurich. 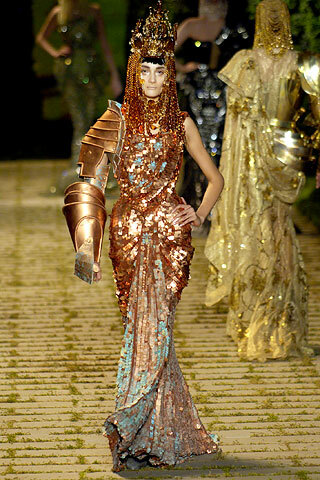 Joan of Arc was one of the inspirations of the Dior by John Galliano Couture Autumn/Winter 2006-2007 Show. Other Joan of Arc-influenced collections : A. F. Vandevorst Spring/Summer 2011 (some pieces evoked Joan of Arc’s armor), Dior by John Galliano Spring/Summer 2007 (the hairstyle of this collection was based on Joan of Arc’s haircut), Gio Diev Spring/Summer 2011 (for this footwear collection, Gio Metodiev was inspired by female warriors such as Joan of Arc), Jean Paul Gaultier Spring/Summer 1994 (this collection featured a cotton tulle corset dress which was an homage to Joan of Arc), Jill Stuart Autumn/Winter 2008-2009 (the theme of this collection was « Joan of Arc : a sophisticated revolutionary »), Lara Bohinc Autumn/Winter 2009-2010 (some shoes paid homage to Joan of Arc), Louis Vuitton by Marc Jacobs Autumn/Winter 2003-2004 (Joan of Arc was one of the muses of this collection), Nicole Miller Autumn/Winter 2008-2009 (this collection was based on the brave and powerful Joan of Arc), Paco Rabanne by Manish Arora Autumn/Winter 2012-2013 (this collection featured Joan of Arc-style chain mail pieces), Roberto Cavalli Autumn/Winter 2013-2014 (« British Vogue » saw a « Joan of Arc spirit » in this show), Suno Autumn/Winter 2013-2014 (Joan of Arc was one of the starting point of this collection, which explores modern-day armors), vanessabruno Spring/Summer 2012 (« British Vogue » wrote that this collection was about « modern-day Joan of Arcs »). The Marquis de Sade was one of the inspirations of the Dior by John Galliano Couture Spring/Summer 2006 Show (the Château de Lacoste, which was the Marquis de Sade’s residence, was visited by the couturier during his 2005 inspirational trip in Provence). 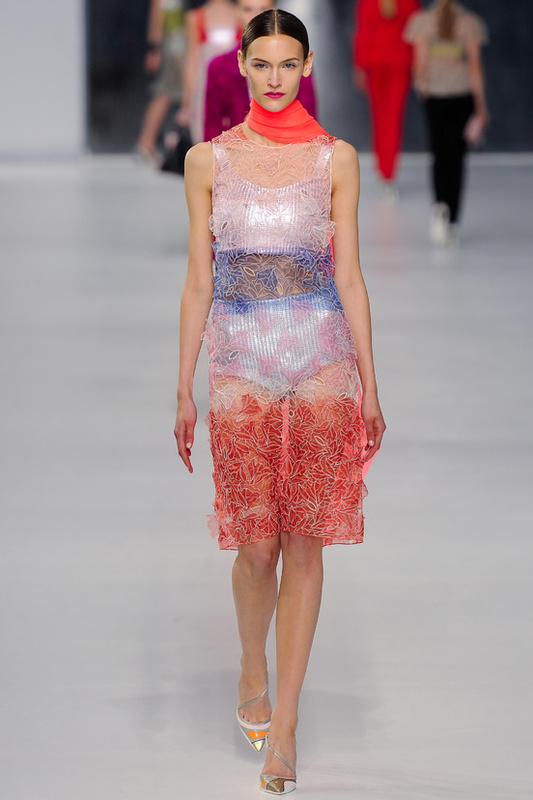 Malcolm McLaren’s « Paris » album and « Madam Butterfly (Un Bel Di Vedremo ») song inspired the creative process of the Dior by Raf Simons Spring/Summer 2013 Collection. Some Malcolm McLaren’s collaborations or Malcolm McLaren-inspired items or shows : Dries Van Noten Autumn/Winter 2010-2011 (Malcolm McLaren provided the soundtrack of this show), Isabel Marant (in 1985, inspired by Malcolm McLaren’s style, Isabel Marant, when she was adolescent, decided to make clothes from dishcloths), Miu Miu Spring/Summer 2013 (the soundtrack of this show featured Malcolm McLaren’s « Jazz In Paris »), Sonia Rykiel (in 1994, Sonia Rykiel co-wrote and sang with Malcolm McLaren on « Who The Hell Is Sonia Rykiel ? », taken from Malcolm McLaren’s « Paris » album), Sophie Theallet (in 1978, Sophie Theallet fell in love with Malcolm McLaren’s universe, created with Vivienne Westwood, in London), Vivienne Westwood (from 1970 to 1983, Malcolm McLaren has collaborated with Vivienne Westwood, his then-girlfriend, including for the opening of the Let it Rock store, on 430, King’s Road, in London, in 1970, and for the launch of the punk fashion, in 1976).